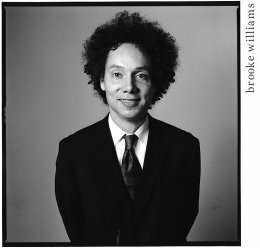 Malcolm Gladwell describes his book, [The Tipping Point], as “the biography of an idea”. Using examples from the worlds of fashion, history, television and business he carefully analyses their success in terms of what he calls the three Laws of the Tipping Point—the three agents of change. The information in the book is not only interesting but can help point the way for anyone wanting to get an idea or product successfully “out there”. Connectors—they know a lot of people from different walks of life and are good at exposing them to each other. They exhibit a combination of curiosity, self-confidence, sociability, and energy. And an idea or product will have more power and opportunity when it is close to a Connector. Mavens—they know about a lot of things or a lot about certain things, and they share their knowledge because it pleases them to do so. They want to help because they like to help. Salesmen or saleswomen—not just anybody with that job title, but those charismatic people who are natural artists at selling. They easily instill others with trust and enthusiasm for themselves and for their product. These three types of messengers are translaters—they translate the ideas and information of innovators, from the specialized, technological world into language that the majority can understand. The second law is the Law of the Stickiness Factor. Connectors, Mavens and Salespeople will help get our message out “by starting word-of-mouth epidemics”, but for that message to have lasting impact it must be “sticky”. For example we all remember “Winston tastes good like a cigarette should” even if we’ve never touched the foul weed. “Sesame Street” which has endured as a beloved children’s show, used a different kind of stickiness. Its creators discovered through doing research that children watch a television program when they understand what they are seeing and become distracted when they do not. The Sesame Street producers therefore made their programs understandable—sticky—for its young audience. And now Big Bird and his cronies are everywhere and everyone recognizes and loves them. The third law is the Law of the Power of Context. This is particularly interesting—and rather unexpected. Gladwell writes that people’s thoughts and normal behavior patterns can be “less important... in guiding actions than the immediate context of behaviour”. To demonstrate he describes in detail how, in the mid-nineties, the crime rate in New York City’s subways was dramatically reduced (tipped downward) simply by cleaning the trains and stations of graffiti and other signs of vandalism, and by stopping the practice of fare-beating. Fare-beating is when people jump the stiles or force them open. Once the environment was cleaned and orderly so also was most people’s behaviour. In another example he cites psychologist Walter Mischel’s work on the way people tend to perceive and define other people in simplified ways, such as aggressive, kind, or patient, when in reality we are all complex, multifaceted individuals who respond in different ways at different times depending on who we are with, when, where and what we are doing. A different type of contextual tipping point involves quantities. Apparently our brains have threshold capacities when it comes to working or living with groups of people, or when remembering or discriminating between similar types of information. For example, seven is the maximum number when it comes to easily and accurately retaining certain types of information—like, numbers, thus the seven-digit phone number. Research and experience have shown that 150 is the maximum number of people for a group to function efficiently and happily. Gladwell talks in detail about Gore Associates (of Gore-Tex fame), which follows this Rule of 150. Gore Associates divides its product lines up so that each can be housed in its own plant employing no more that 150 people. Each plant has its own building which houses all staff associated with its particular product—from R&D to sales people. Everyone knows each other, is available to each other, and is treated as an equal. This results in a positive kind of peer pressure—no one wants to let any one else down. If the size of a department grows to over 150 some way is found to divide it into two separate and independent groups. The method has been hugely successful. A final tipping phenomenon Gladwell describes is “immunity”. An example of this is when you get so many e-mails you stop responding to most of them, or even looking at them. This is ironic given how good the Internet has been at connecting people and relaying information! “Immunity” sounds like the phenomenon that happens when you travel to a foreign country and don’t buy a certain product unique to their culture because it is on display and for sale everywhere you look—then when you return home it is nowhere, and you kick yourself for not buying it. Gladwell’s book shows us how to look at the way, and the why, things happen from a different perspective, which is always helpful. And if understanding tipping points can help us solve problems that on first sight seem impossible—like that New York City crime rate—that is a very good thing. I promise not to succumb to the Law of Immunity when it comes to emails from readers. I will respond to them all!